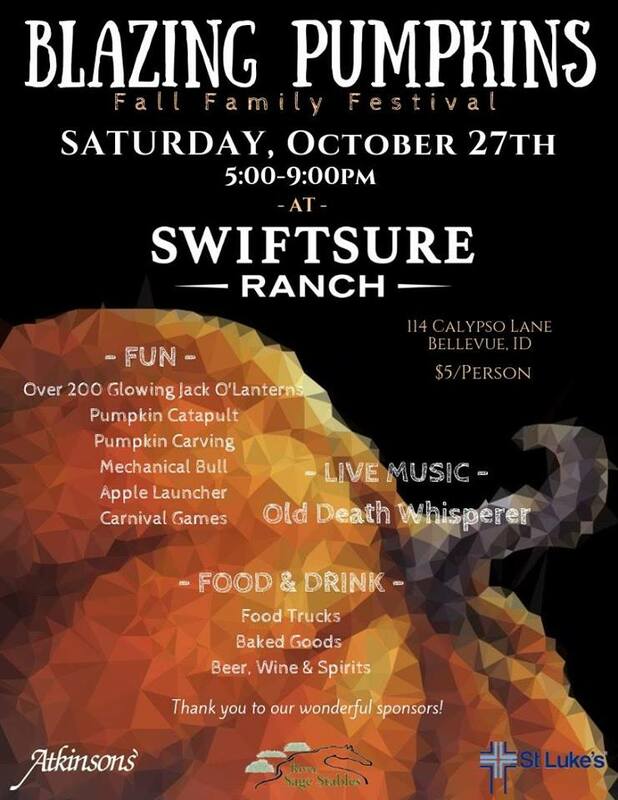 Join us for Fall Family Fun at Swiftsure Ranch! Food Trucks, Live Music, Carnival Style Games, Mechanical Bull, Baked Goods, Pumpkin Carving and a Spectacular Display of 200 Glowing Jack-O-Lanterns on our walking trail. $5 Admission Cash or Card. 5pm-9pm Saturday October 27th.